This lovely 18-speed mountain bike is a perfect fit for a young teenager. Fully serviced, this is a great little bike to get around on. For sale at €50. 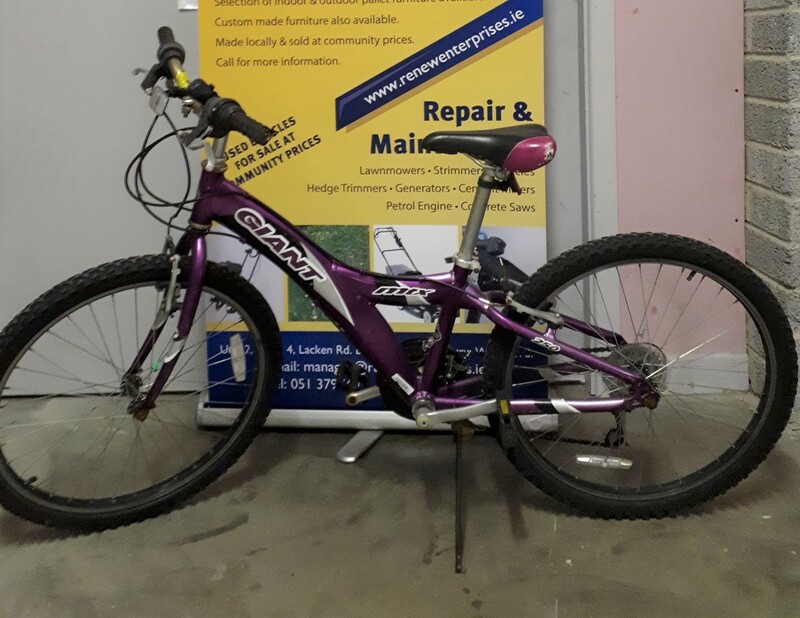 Text or call Nicola on 089-2436006 if you would like this bike. 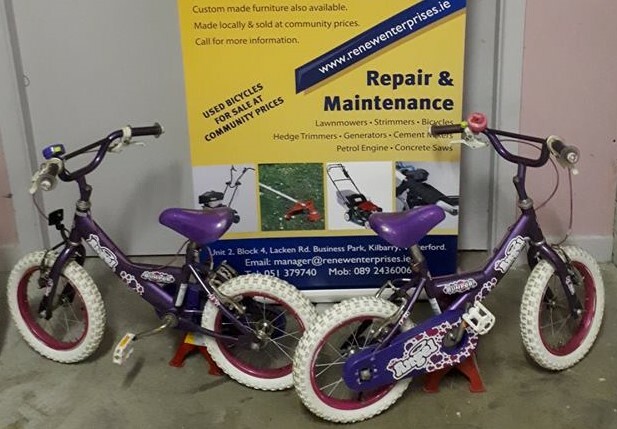 This matching pair of bikes would be a perfect fit for the little princesses in your life! A lovely treat for a little girl at €20 each or both for €30. Email manager@renewenterprises.ie or call 089-2436006 if you would like this bike.